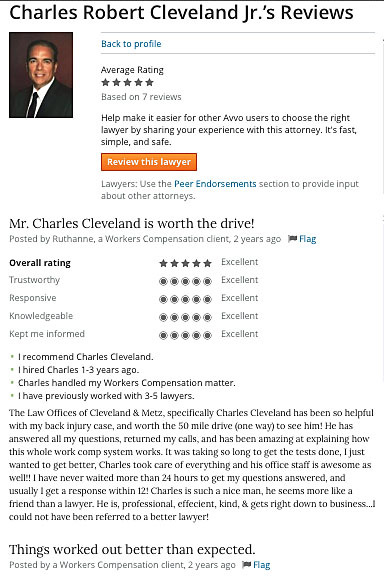 The Law Offices of Cleveland and Metz have been serving the Greater Inland Empire of California for over 30 years. Our California accident attorneys, workers compensation lawyers, and personal injury attorneys have over 36 years of combined experience in litigation, investigation and settlement of work injury, personal injury claims and accidents. Our accident & work injury attorneys understand that bad things can happen to good people and more often than not were preventable and caused by negligence. Our accident attorneys have represented individuals like you in a number of cases from motorcycle accidents, dog bites, nursing home neglect or personal injury. 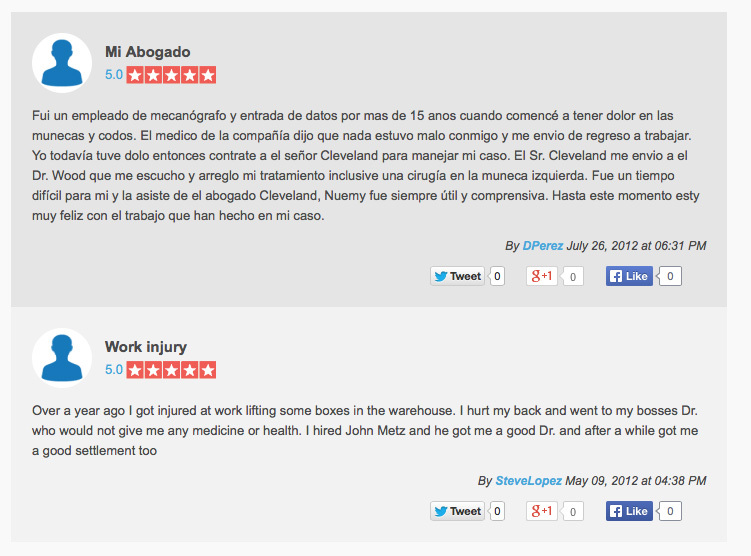 A work injury & accident attorney from Cleveland & Metz will provide you with the necessary legal guidance, representation and information for your specific case. If you hire an accident lawyer from our firm you can rest assured their primary goal is to provide you with special, exceptional and personal attention at the highest quality. 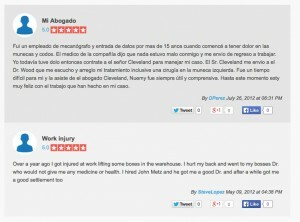 Read what our clients have to say about our accident attorneys and the services provided by the Law Office of Cleveland and Metz. “Dear Mr. Cleveland, thanks for all you did for the last seven years working on my case and finally getting it resolved. It was a difficult time you help me get through and I truly appreciate it. The company doctors and insurance company was giving me the runaround til I hired John Metz. He stepped in and got me a good doctor and a fair settlement. Contact our office in Rancho Cucamonga for a worker’s compensation attorney or personal injury lawyer to represent your case.